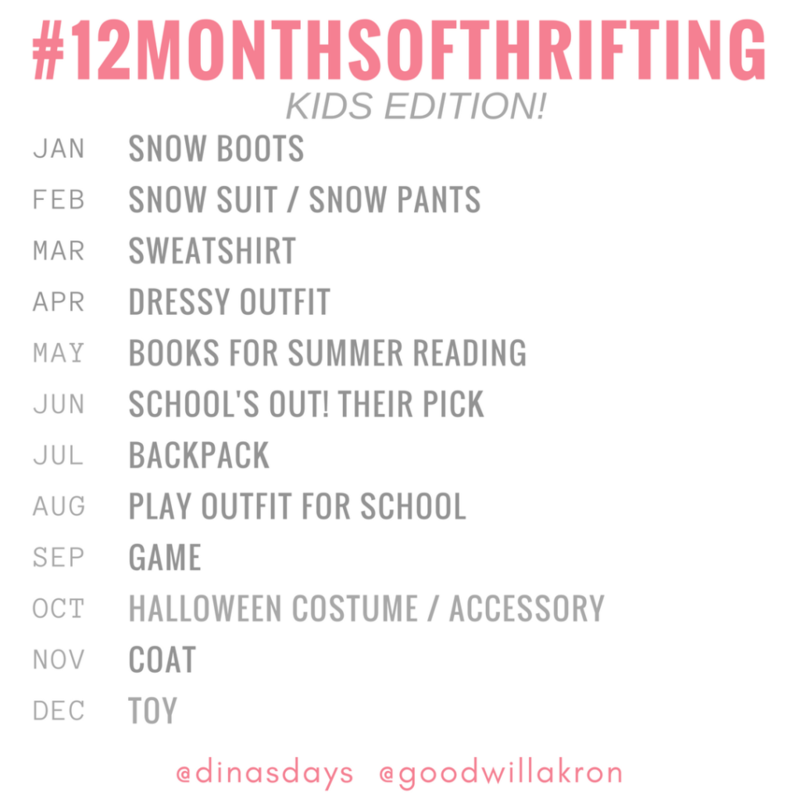 This month’s 12 Months of Thrifting prompt is to thrift a backpack for the upcoming school year. I took my niece and nephew with me Goodwill Akron to shop for backpacks that we can fill for a couple of families in need of school supplies this fall. I always spot backpacks at Goodwill, but knowing how important backpacks are for kids, I wanted to see if we can find one that was durable and brand new with the tags still attached. 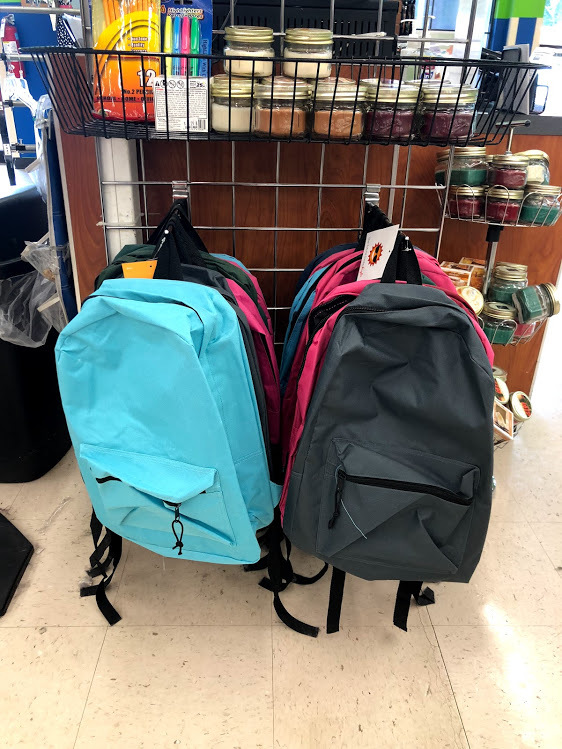 We could have easily shopped online or at a chain retail store for a backpack, but going to Goodwill was a win-win: we got to fill a backpack for a student in need, and support Goodwill’s mission by shopping at their retail stores! We first went to the Lakemore location and found a handful of gently used character backpacks, including Elmo, Transformers, and Finding Nemo. 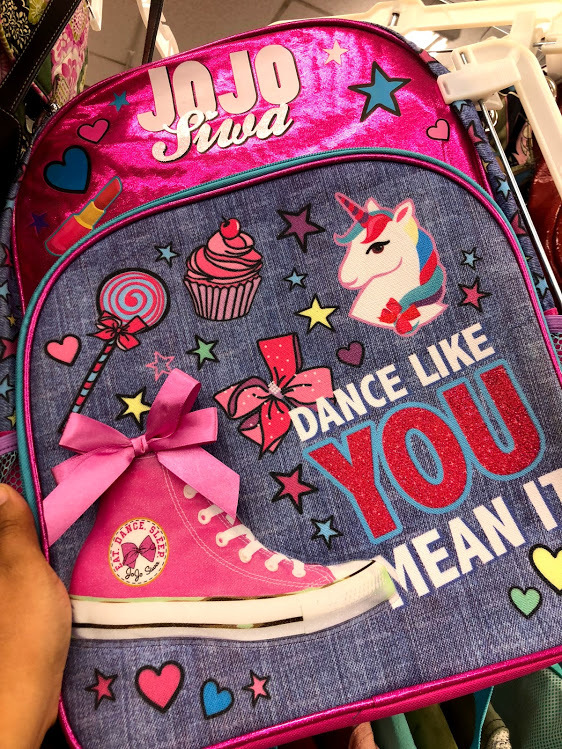 But since I personally don’t know the interests of the children we were shopping for, I decided to stick with neutral backpacks, just to be safe. (With the exception of a Jo Jo Siwa backpack which my niece promptly informed me was cool, so I obliged). We made our way to the State Rd location and immediately spotted a rack of brand new backpacks in a variety of colors for only $8. 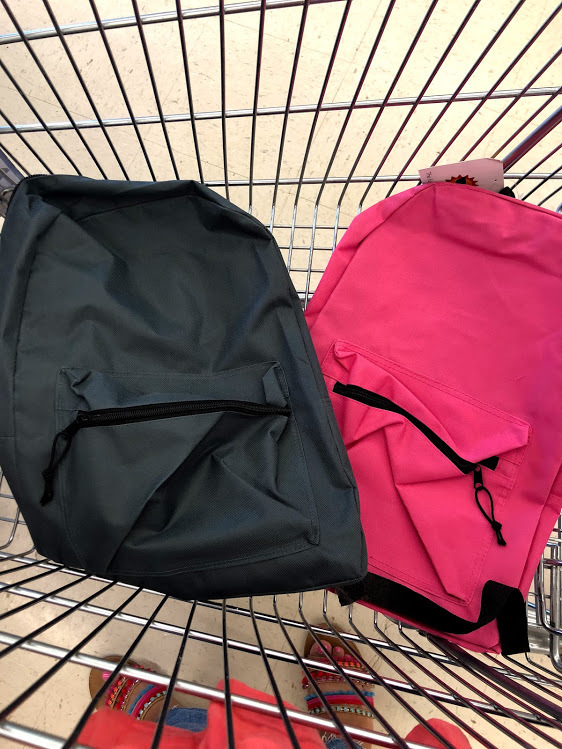 We bought them in a couple of colors and can’t wait to fill them up with school supplies for the families. – Many Goodwill stores carry a mix of new and gently used backpacks. If you find a secondhand backpack that you love, do a quick check inside the bag to make sure everything is in tact and pockets and zippers are all functioning properly. – To clean, use a disinfecting wipe or spray or throw it in a mesh laundry bag, wash in warm water, and air dry. Next prompt: play clothes for school. If your little one isn’t in school yet like mine, think about what types of play clothes you might need and thrift them! Baby J is growing out of a lot of her pants, so I’m on the hunt for play pants!